Since hair systems can vary in shape and size, different contours and sizes of tape are made to custom fit your system. There are an array assortment of tapes to fit the needs of our guests. Rolls of tape are also available in several lengths and widths. Rolls of hairpiece tape normally sell in different widths including 3/4" and 1". 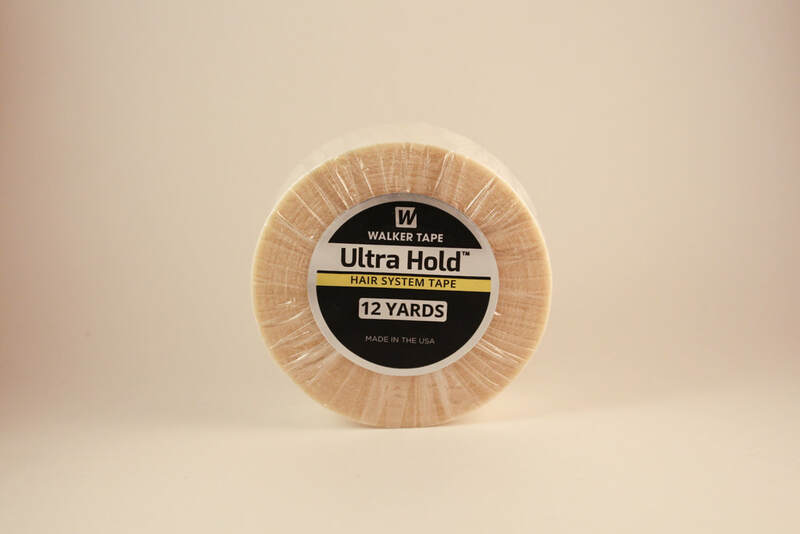 The rolls allow you to customize the area of your hair system that is taped - they also allow you to purchase a hairpiece tape that will fit the exact width of your polyurethane perimeter. Tapes can be used for either 1-7 days(Daily) , 1-2 weeks (Extended), or 2-4 weeks (Maximum). 3M/Clear/1522 is a hypo-allergenic tape known for being gentle on skin .The Liner and backing are white, but the actual tape is clear. Sensi-Tak/Red Liner/Red is a very low-residue tape which is popular for use on poly units because of its easy clean up. 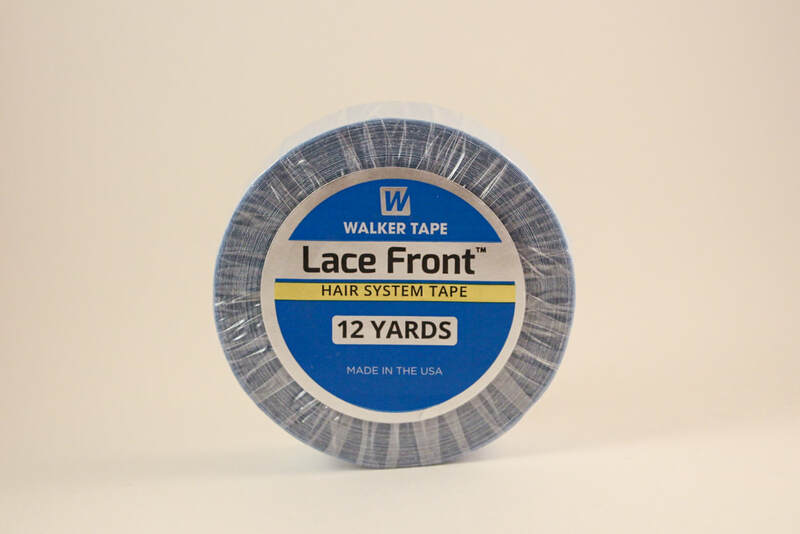 Lace Front Support/Blue Liner is famous for its dull finish and a top seller in the permanent wear line. 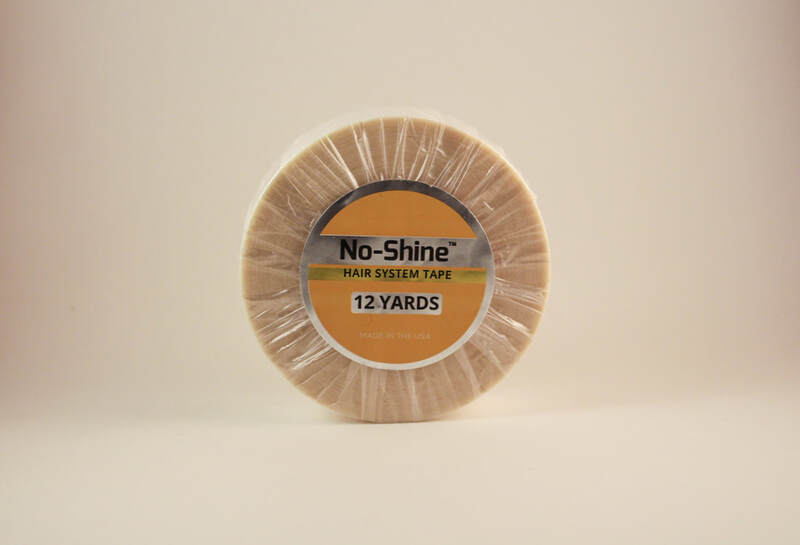 No-Shine is virtually invisible through a hair system with its dull finish. Made with Urethane which makes the tape flexible with the skin. This tape is perfect for full-coverage jobs. Ultra Hold Tape is super tacky, very flexible, longest hold times. It is the longest holding tape. Due to each tape requiring various application strategies we suggest to talk with one of our specialists. For information about how to apply tape to your hair system, visit the staff at Hair Because We Care for a tutorial on how to apply tape to suit your needs. When wearing a wig or hair replacement system, an attachment product is used, either tape or glue. If it is your first time using a product, we highly recommend doing a "patch test" prior to the attachment of the hair system to avoid possible scalp irritation or discomfort. Ask a CARE Specialist about "patch test" and which tapes and adhesives will work best for you.